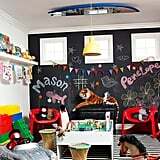 We Can't Get Enough of Mason and Penelope Disick's Adorable Rooms! 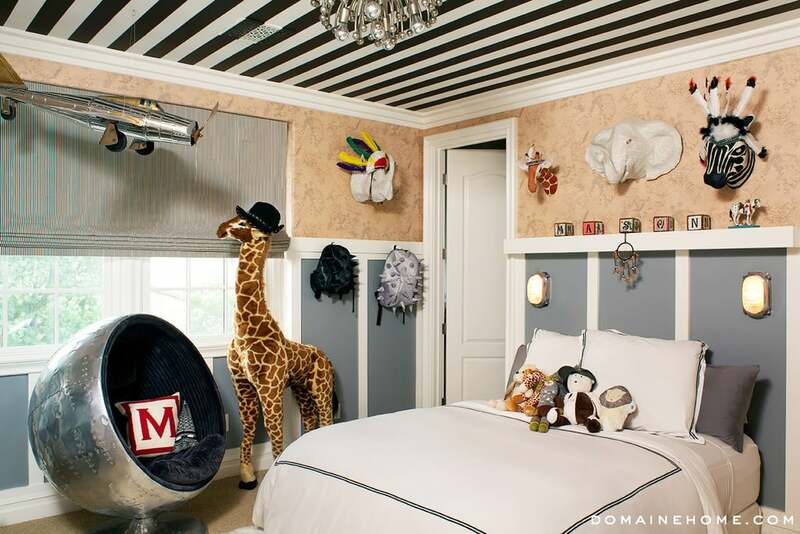 Judging from the space's circus-tentlike ceiling and aviator-chic seating option, it doesn't get much cooler than the room for Kourtney Kardashian and Scott Disick's firstborn child. 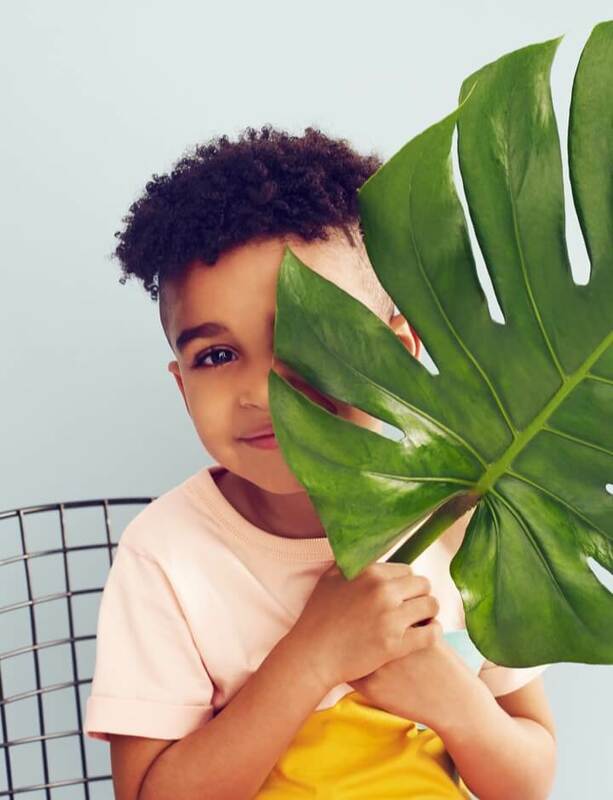 We spy several of Anthropologie's Savannah Story papier-maché busts on the walls, a showstopping aviator ball chair, and Melissa and Doug's majestic giraffe adding some style to the room.